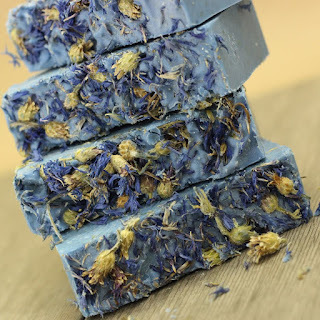 The Sudsy Soapery is pleased to introduce Eucalyptus and Matcha Green Tea Soap with Shea Butter, read below to learn more about this amazing addition to our soap collection. Feel free to shop our entire line of all natural soap! We have added some very useful ingredients to our soap base for this amazing Eucalyptus and Matcha Green Tea soap with Shea Butter. Below are some of the ingredients and their useful properties. Eucalyptus 80/85: This Eucalyptus is from Australia where the plant is native. Eucalyptus has been known among others things to be a great antioxidant and immune system booster, great for clarity! Organic Matcha Green Tea-It is great for your complexion and has been used by some to soothe blemishes and fight the process of aging. Shea Butter-Our Eucalyptus and Green Tea soap is packed with this skin adoring butter from the heart of Africa! Shea Butter is a super powerful skin conditioning agent, that is high in unsaponifiables making the soap a tad bit softer but richer in the boosting of dry skin. Oatmeal-We add this ingredient as a gentle exfoliant to aid in soothing your skin and providing it with nutrients needed for your healthy skin. 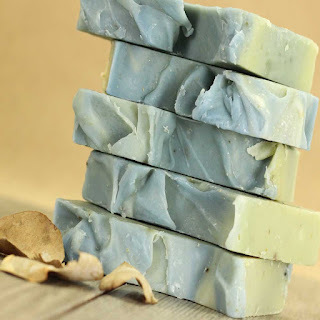 Eucalyptus Leaf-Dried, cut Eucalyptus Leaf has also been added to the soap, this may also aid in protecting the skin and also gently exfoliating it to enhance the feel and subtleness of the skin. Imagine your shower bursting with the natural aroma of intoxifying Eucalyptus. Transport yourself to the deep woodland plains of Australia. Your experience will be unlike any other and your energizing bath will explode with a natural experience unlike any other!